SAN FRANCISCO — Six Asian American candidates won their respective races in the City and County of San Francisco, including one who declared victory nine days after the election. • The San Francisco Chronicle reported Nov. 16 that Norman Yee, president of the San Francisco Board of Education, won the District 7 seat on the San Francisco Board of Supervisors by a mere 131 votes over labor leader F.X. Crowley, 12,448 to 12,317. Crowley has not conceded and may call for a recount once the results are officially certified next month. San Francisco’s elections use the ranked-choice voting system, in which voters list their first, second and third choices for each office. In a close election, a runoff is unnecessary; the candidates with the fewest votes are eliminated and the second- and third-choice votes go to the remaining candidates. In District 7, it took six rounds to distribute votes from the other seven candidates to Yee and Crowley. Yee, who is serving his second term on the school board, is also a board member of the San Francisco Child Care Providers Association and the Chinese Culture Foundation. He will succeed Supervisor Sean Elsbernd, who is termed out. District 7 includes West of Twin Peaks, Lake Merced, San Francisco State University, City College of San Francisco, and Laguna Honda Hospital and Rehabilitation Center. • In District 1, incumbent Supervisor Eric Mar beat challenger David Lee handily, 15,266 votes (53.5 percent) to 11,019 (38.62 percent). Mar served on the Board of Education from 2000 to 2008 and was then elected to the Board of Supervisors. 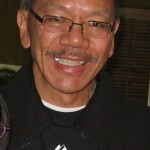 He taught Asian American and ethnic studies at San Francisco State University and is also an elected member of the San Francisco Democratic Party’s Central Committee. His endorsers included State Sen. Leland Yee, Assemblymember Tom Ammiano, The San Francisco Examiner and Sing Tao Daily. 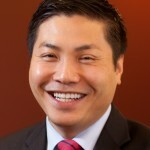 Lee is executive director of the Chinese American Voter Education Committee, teaches political science at SFSU and was an appointee to the San Francisco Recreation and Park Commission. He had high-profile endorsers, including Sen. Dianne Feinstein, Lt. Gov. Gavin Newsom (former mayor of San Francisco), Assembly Speaker Pro Tempore Fiona Ma, and The San Francisco Chronicle. District 1 covers the Richmond, which is bounded by the Presidio on the north, Golden Gate Park on the south, and Ocean Beach on the west. The campaign was a costly one for both sides, with hundreds of thousands of dollars spent on ads and mailers. One of the most notable anti-Mar videos, sponsored by the San Francisco Association of Realtors, showed an army of children with smudged faces and torn clothes marching down the street, banging pots and chanting, “Send Mar back to Mars!” It ridiculed Mar’s legislation banning toys from McDonald’s Happy Meals because they encourage kids to eat junk food, and blamed him for empty storefronts on Geary Boulevard, the district’s main thoroughfare. Mar condemned the video and even Lee asked that it be taken down. • In District 3, Supervisor David Chiu was re-elected by a wide margin, 17,700 votes (75.42 percent). His three challengers had a combined total of 24.29 percent. Chiu was first elected in 2008 to represent District 3, which includes North Beach, Chinatown, Telegraph Hill, Russian Hill, Polk Street, Nob Hill, Union Square, Financial District, Barbary Coast and Fisherman’s Wharf. In January 2009, he was elected president of the Board of Supervisors. He ran for mayor in 2011 and finished third. • In the 17th Assembly District, San Francisco Assessor-Recorder Phil Ting won with 72,920 votes (57.69 percent) to businessman and fellow Democrat Michael Breyer’s 53,469 (42.31 percent). The district also includes parts of northern San Mateo County. 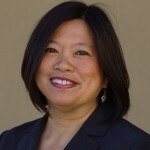 Previously executive director of the Asian Law Caucus, Ting was appointed assessor-recorder in 2005 and later elected to the post. During his tenure, he launched such initiatives as GoSolarSF, ChinaSF, and Reset San Francisco. He also ran for mayor last year. 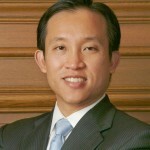 Mayor Ed Lee will appoint Ting’s successor. 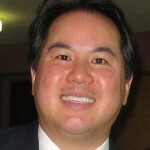 • Steve Ngo was re-elected to the San Francisco Community College Board with 103,030 votes (14.63 percent). He was the top vote-getter, followed by Rafael Mandelman and incumbents Natalie Berg and Chris Jackson. There were six other candidates for the four open seats. 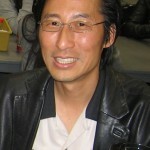 Ngo was first elected in 2008, becoming the first Vietnamese American elected to public office in San Francisco. He chairs the board’s Policy Implementation Committee. • Sandra Lee Fewer was re-elected to the San Francisco Board of Education with 128,500 votes (16.94 percent). She was the top vote-getter, followed by incumbents Jill Wynns and Rachel Norton and newcomer Matt Haney. There were seven other candidates for the four open seats. Prior to her first term on the school board, Fewer served as president of the PTA and a member of several San Francisco Unified School District committees. In addition to Mayor Lee, the city’s Asian American elected officials include Public Defender Jeff Adachi, Supervisors Carmen Chu and Jane Kim, and Board of Education members Emily Murase and Hydra Mendoza. Assemblymember Ma is termed out and is running for the State Board of Equalization. State Sen. Yee, who ran for mayor last year, has just announced his candidacy for California secretary of state. His current term expires in 2014. The delay was caused by the fact that it was a close race — not because of ranked choice voting. The Department of Elections John Arntz was quoted in the Chronicle a couple weeks ago as saying that they were taking longer because they wanted to make sure there were no errors while processing the ballots because they knew it was close. They need to do a lot of hand-verification of things like signatures on provisional ballots, addresses, etc. The ranked choice voting part adds practically no extra time because that part is done by computer. That is how they were able to do two RCV counts on election night for every race as the initial ballot data was coming in. Thanks for your note. The Chronicle article that I quoted from strongly implied that ranked-choice voting was the cause of the delay, but I will revise that part of our article.